Worldwide scientific and medical communities have called fibre the "miracle nutrient" because of its many health benefits. Foods that are generally high in fibre are being consumed less due to the increased intake of over processed convenience foods. Lifestyles has developed a revolutionary and proprietary soluble fibre blend that helps to supplement the body's deficiency of fibre. 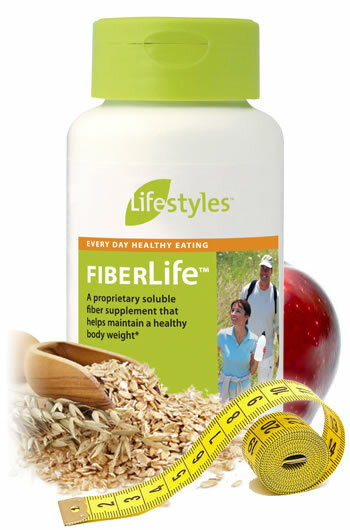 FibreLife provides you with your daily source of fibre. Each capsule of FibreLife contains 500mg of soluble fibre derived from concentrated, natural sources such as Konjac Glucomannan, Guar Gum, Xanthan Gum with added cinnamon extract. When ingested with sufficient amounts of water, FibreLife forms a gel-like complex of natural fibres. This complex slows the digestion of food. Glucomannan in the context of an energy-restricted diet contributes to weight loss.